I decided to mark this year’s 400th anniversary of the King James Bible (KJV) by learning more about it! 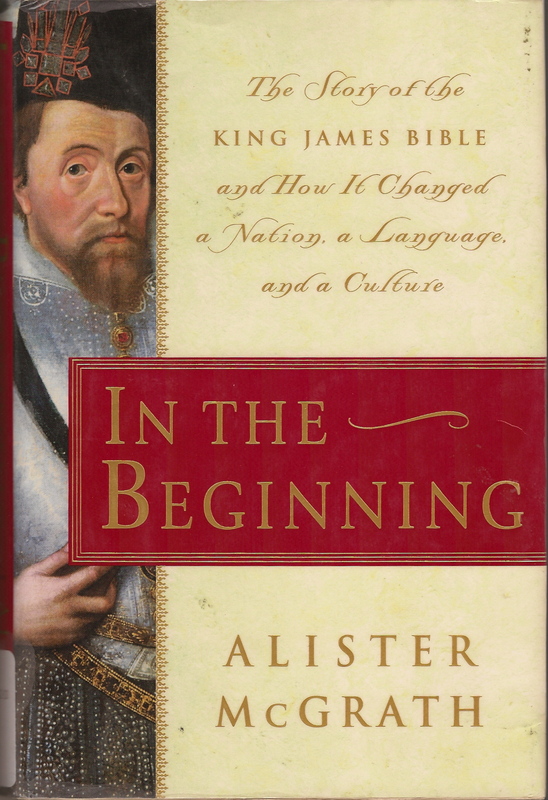 First, via Alister McGrath’s In the Beginning: The Story of the King James Bible and How It Changed a Nation, a Language, and a Culture (Doubleday, 2000), an informative though sometimes plodding overview of the KJV and how it emerged from new publishing technologies as well as the post-Reformation tensions between the Puritans and Church of England. The KJV was not popular at first, notes McGrath; it took some 150 years, in fact, to be perceived as “a great work of religious literature.” Then, he says, historical distance, plus “a certain lack of knowledge of the early history of the translation” resulted in a “heady nostalgia” settling over its reputation. The gift of this language-moment, the great Jacobean habit of mind on which the King James Bible rides for chapter after chapter and book after book, is this swinging between majesty and tangibility, the setting of the actual and perceptible within an enormous and enriching frame, the sense of intimacy between great and small, the embodiment of the most universal ideas in the most humble of forms, the sense in other words that the universe, from God to heifer, is one connected fabric. It’s been no surprise to discover how political the translation was (which translation isn’t political, in the broadest sense of the word?) but I hadn’t realized how extensively the KJV was built on the foundation of the translations before it, especially Tyndale’s. Such borrowing was not considered a flaw but was indeed the project’s aim: to draw from the best, improving only where warranted. I’m no apologist for the KJV, though I celebrate it gladly. It’s the Bible I was raised on, after all, and I didn’t think of it as a version; as far as we were concerned it was simply the Bible, and I memorized, as children did then — to shave a few dollars off camp fees or to earn gold stars on a piece of paper – hundreds of verses. Of course I knew God also spoke German, as that had been my first and preschool language, but the KJV was how God always talked when God talked English. Now I rarely use the KJV. I don’t need to, really; I hear it still, almost unconsciously, it seems, underneath whatever other version I’m reading. What the newer versions do for me is freshen and elaborate the beloved but eventually too-familiar text by which I was nurtured. This entry was posted in Books, Current events, Personal and tagged Adam Nicolson, Alister McGrath, God's Secretaries, In the Beginning: The Story of the King James Bible, King James Version, KJV 400th anniversary by doradueck. Bookmark the permalink. hmmm. 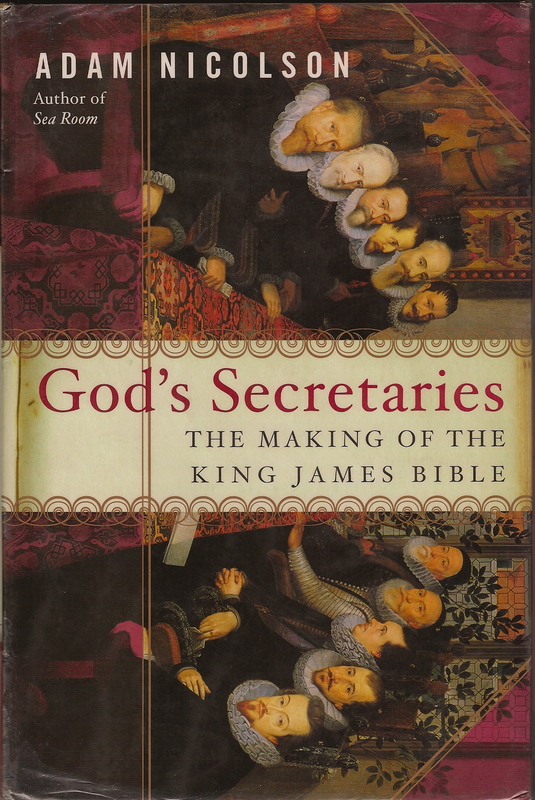 I have a copy of God’s Secretaries – I’m thinking I should take it down and have another read… thanks for interesting thoughts. And thanks, Kelly, for stopping by! What’s the Flatlanders version of choice? You being quite a few years later, yes, 🙂 your memorization/reading would have been otherwise, and that’s what will run underneath. Thanks for your interesting comments; I think you’re right, there are probably no “inspired” versions, just various versions, some more excellent in language, or accuracy, or whatever. The KJV was roundly criticized for a long while after it appeared. It will be interesting to see what shakes out many decades from now. — I do miss the consistency of uniform use, however.